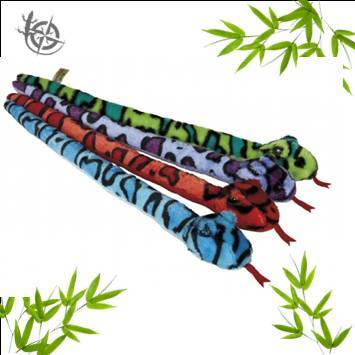 Snake 60cm – soft plush toy assorted colours. Snake 60cm – soft plush toy. Available in blue, green, red and purple. If you would like to a order a specific colour, then please indicate your preference in the order information field during the checkout process. We cannot guarantee all colours will be in stock at all times but we will endevour to meet your requirements.